One of nature’s wonders is the gathering of 3,000-4,000 Bald Eagles each fall in the Alaska Chilkat Bald Eagle Preserve in Haines Alaska. 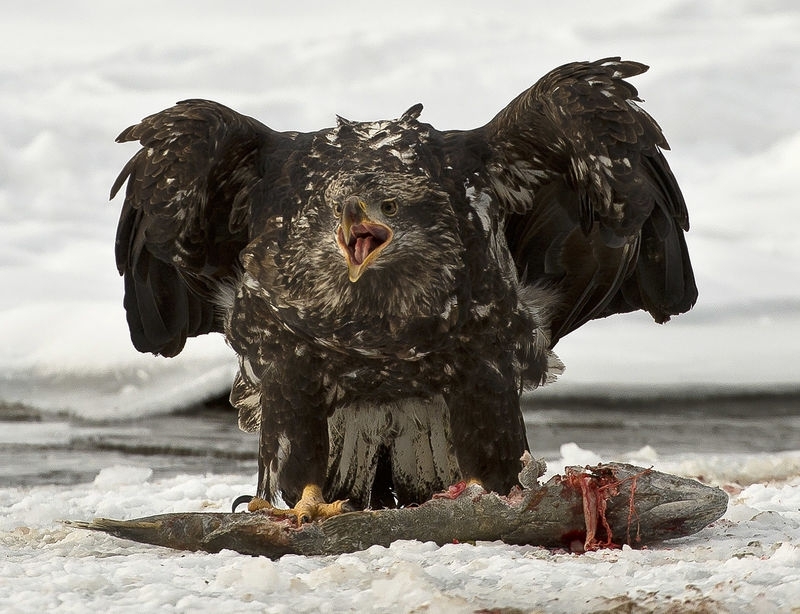 It seemed like the larger fluffier juvenile Bald Eagles were the first to feed on salmon along the river’s edge. This guy was trying to scare off the competition.